Dr. Joyce C. Polistena (Professor of Art History) co-organized a symposium sponsored by The Dahesh Museum of Art and the Museum of Biblical Art (MOBIA) on January 17, 2014. The all-day event was held at MOBIA in conjunction with the exhibition Sacred Visions Nineteenth-Century Biblical Art from the Dahesh Museum. Polistena presented her paper, Eugène Delacroix Paints ‘Modern’ Biblical History along with other speakers, Virginia Raguin, Distinguished Professor of Art History, College of the Holy Cross, Kate Nichols, Cambridge University UK, Laura Morowitz, Wagner College and Jessica Basciano, Columbia University. 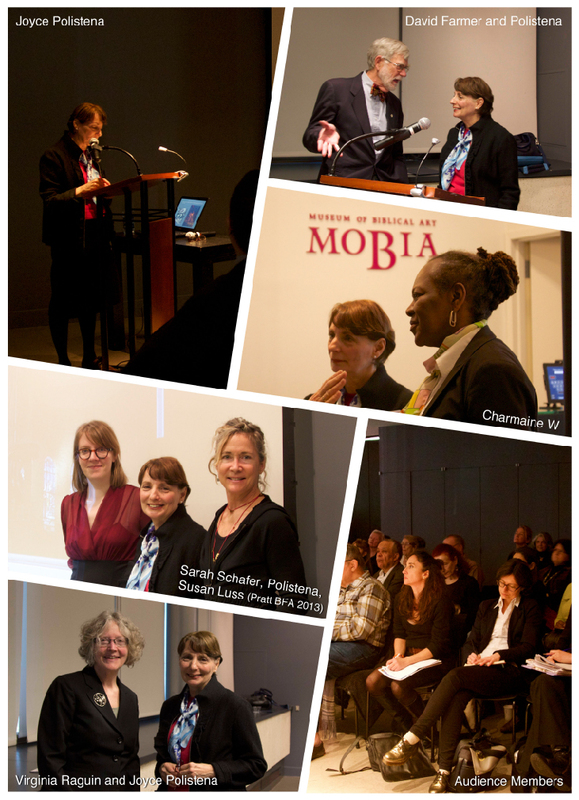 Sarah Schaefer (Pratt Visiting Instructor) now a Mellon Fellow at The Metropolitan Museum of Art was a co-organizer of the event. Audience members included David Farmer, Director of The Dahesh Museum, Richard Townsend, Director of MOBIA and renowned art historians Tim Barringer, Paul Mellon Professor at Yale University, Drs. Diane Kelder and Patricia Mainardi, Professors Emeritus, CUNY, as well as Susan Luss (Pratt BFA, 2013) and well over 50 other avid listeners. The Dahesh Museum provided a lavish reception following the symposium.